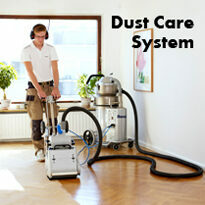 WHY USE SLOUGH FLOOR SANDING COMPANY ? As specialists in floor sanding and wooden floor restoration, we offer far more than an additional building service when a property is being renovated. All our workers are fully qualified to the industry standard - as members of the National Wood Floor Association (NWFA). 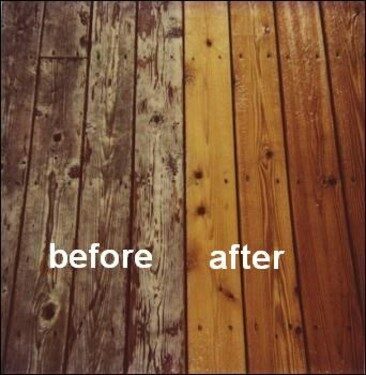 So what can you expect when you entrust us with the restoration of your floors? You will get the best advice and recommended treatment for your floors. We will assess the amount of wear the floor will have to withstand - and discuss repairs, colour stains and finishes. See our prices for the various tasks within floor restoration. We can tailor the work to fit your budget - so you know exactly what you will be paying. For a professional job in Slough - contact us today ! What about noise and dust? Yes, sanding is a noisy and dusty process. The traditional drum sanders create a great deal of dust that can linger for days. Hardly the environment you want for your family, business or customers. But we don’t use those! Our modern cylinder machines have an attached bag that collect up to 98% of the dust. We minimise the rest by masking and frequent vacuuming. As for sanding marks on the wood, our sanders go right up to the edge of the floor and a couple of millimetresunder the skirting board. They create a smooth, level surface. And don’t worry if you have remnants of old varnish such as Victorian black wax - we remove them completely. A job will take at least a full day. If you have multiple rooms or large areas, then it could take several days. While we work, all rooms must be kept free of heavy traffic. We will discuss approximate timings with you during your free consultation. As the rooms must be clear, all furniture has to be removed before we start. If you need help with this, we can do this for you. Talk to us beforehand. You can, but you’ll probably have to call on us to restore the damage! Sad to say, we get far too many jobs where an enthusiastic amateur has ruined a perfectly good floor. Yes, you can go to a hire shop and take home a machine for the weekend. Using a sander requires skill and an older machine is heavy and difficult to manoeuvre. It’s no wonder that you could end up with clatter marks at best - gouges and scrapes at worst. Ask around and see if you can find any DIY sander who would ever do it again. So save yourself extra expense and heartache - call on us for the best advice and the best service. A sanded and sealed floor will add beauty and value to your home - but the job must be done properly!